It is a pleasure to welcome my friend Anna Belfrage today. If Anna is a 'new to you' author, then you have been missing out. Best known for a time travel series to rival Outlander, Anna has now moved to the Middle Ages. 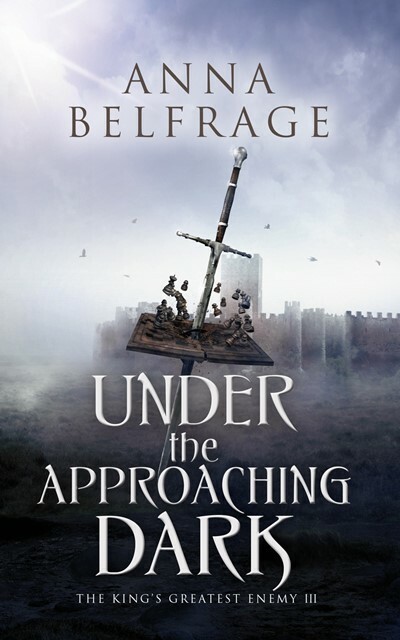 UNDER THE APPROACHING DARK is third in The King's Greatest Enemy series set in the time of Edward II. Anna is giving away a copy of Under the Approaching Dark. Please enter via the Gleam form below. In my next post, Anna will be back to talk about an aspect of her research for this book... medieval bathing habits. Click HERE to go to that post. Adam de Guirande has cause to believe the turbulent times are behind him: Hugh Despenser is dead and Edward II is forced to abdicate in favour of his young son. It is time to look forward, to a bright new world in which the young king, guided by his council, heals his kingdom and restores its greatness. But the turmoil is far from over. After years of strife, England in the early months of 1327 is a country in need of stability, and many turn with hope towards the new young king, Edward III. But Edward is too young to rule, so instead it is his mother, Queen Isabella, and her lover, Roger Mortimer, who do the actual governing, much to the dislike of barons such as Henry of Lancaster. In the north, the Scots take advantage of the weakened state of the realm and raid with impunity. Closer to court, it is Mortimer’s increasing powers that cause concerns – both among his enemies, but also for men like Adam, who loves Mortimer dearly, but loves the young king just as much. When it is announced that Edward II has died in September of 1327, what has so far been a grumble grows into voluble protests against Mortimer. Yet again, the spectre of rebellion haunts the land, and things are further complicated by the reappearance of one of Adam’s personal enemies. Soon enough, he and his beloved wife Kit are fighting for their survival – even more so when Adam is given a task that puts them both in the gravest of dangers. Anna was raised abroad, on a pungent mix of Latin American culture, English history and Swedish traditions. As a result she's multilingual and most of her reading is historical- both non-fiction and fiction. Possessed of a lively imagination, she has drawers full of potential stories, all of them set in the past. She was always going to be a writer - or a historian, preferably both. Ideally, Anna aspired to becoming a pioneer time traveller, but science has as yet not advanced to the point of making that possible. Instead she ended up with a degree in Business and Finance, with very little time to spare for her most favourite pursuit. Still, one does as one must, and in between juggling a challenging career Anna raised her four children on a potent combination of invented stories, historical debates and masses of good food and homemade cakes. They seem to thrive… For years she combined a challenging career with four children and the odd snatched moment of writing. Nowadays Anna spends most of her spare time at her writing desk. The children are half grown, the house is at times eerily silent and she slips away into her imaginary world, with her imaginary characters. Every now and then the one and only man in her life pops his head in to ensure she's still there. 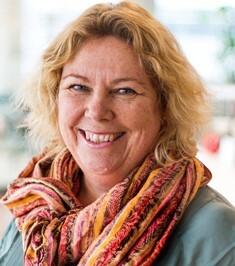 Other than on her website, www.annabelfrage.com, Anna can mostly be found on her blog, http://annabelfrage.wordpress.com – unless, of course, she is submerged in writing her next novel. You can also connect with Anna on Facebook, Twitter and Goodreads.